A hacker with alleged connections to members of the Syrian Electronic Army appeared in a Virginia court Tuesday to face charges of participating in an extortion scheme that threatened victims to delete or sell data from compromised computers. Peter Romar, who was detained by German authorities on a provisional arrest warrant on behalf of the U.S., had been earlier charged by a criminal complaint unsealed on March 22. The Syrian national, also known as Pierre Romar, was residing in Waltershausen in Germany. He is alleged to have worked with Firas Dardar from Homs, Syria, on the extortion scheme. Dardar and Ahmad Umar Agha, a resident of Damascus, are separately charged with targeting the U.S. government, Harvard University, Human Rights Watch and various media outlets, which were seen to be detractors of Syrian President Bashar al-Assad, according to the Department of Justice. Both Agha and Dardar are believed to be in Syria. The FBI said in March it was adding Agha and Dardar to its Cyber Most Wanted list and offering a reward of US$100,000 for information that leads to their arrest. 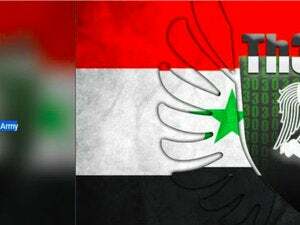 In 2012, for example, SEA hacked the Twitter account of the Reuters news agency and started sending tweets with false information on the Syrian conflict. The agency’s news website was also hacked and a false report was posted to a reporter’s blog. The government was able to track down the ring by using court warrants to get access to the Facebook and Gmail communications of the group. Dardar started using his computer hacking skills and notoriety as a SEA hacker for personal monetary gain through computer intrusion and extortion schemes that used phishing emails, according to a filing in September last year in the U.S. District Court for the Eastern District of Virginia. Some 14 victims of the extortion scheme were detected in the U.S. and abroad between July 2013 and December 2014. In at least one instance, Dardar attempted to use his affiliation with the SEA to scare his victim, according to the DOJ. While Dadar conducted computer intrusions from Syria and sent threats and payment demands to victims, Romar, from his location in Germany, received and attempted to retransmit the extortion proceeds to SEA members in Syria, in violation of U.S. sanctions against Syria, according to DOJ. Romar was aware that he was receiving extortion funds from hacking activities and was assisting in evading the U.S. sanctions, according to court records.